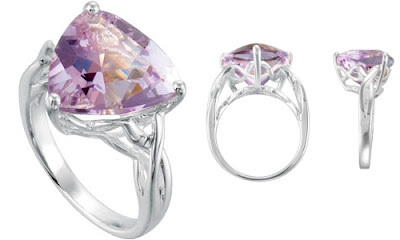 Prize: One winner will receive a Triangle Rose de France Amethyst Ring (a $145 value) from Penelope Poet. Celebrity Chef Devin Alexander wears a triangle Rose de France Ring ($145) and twin pearl bracelet ($305) from PenelopePoet.com at the KCAL 9 studios, CBS Los Angeles. Devin Alexander is a healthy chef specializing in making your favorite foods healthier at home. She’s the author of the NY Times Bestseller, Biggest Loser Family Cookbook: Budget-Friendly Meals Your Whole Family Will Love, and an all around talented woman. This stunning triangle-cut amethyst rises from a woven open-work design. Set in sleek sterling silver, the stone's soft petal color offers elegance and is complemented by the gem's unique geometric style. 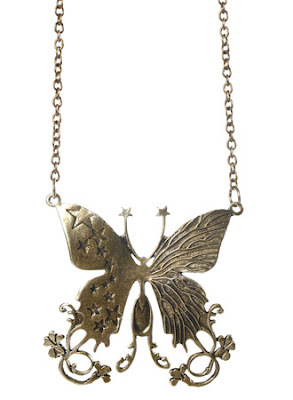 Penelope Poet has a stylish, sophisticated collection of unique designer jewelry and gifts. Their products include an assortment of eco-friendly jewelry, artisan crafted personalized pieces, and unique designs that celebrate individual style. Keep up with the latest deets on Facebook. - Follow them via Twitter. The giveaway will conclude July 15th. Prize: One winner will receive a Bridal Together Forever Silver Dipped Engraved Bangle (a $58 value) from Dogeared Jewelry. 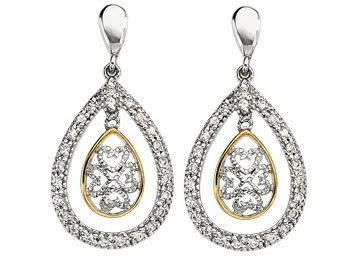 The Dogeared collection of jewels and gifts is extraordinary because it both delights the eye and inspires the heart. Dogeared was founded in 1991, out of designer Marcia Maizel-Clarke's wish to create beautiful jewelry that makes a hopeful and happy statement. Their aesthetic is inspired by the natural beauty and hip, casual lifestyle found only in California. Over the years as Dogeared has grown, they have always stayed true to their dream. 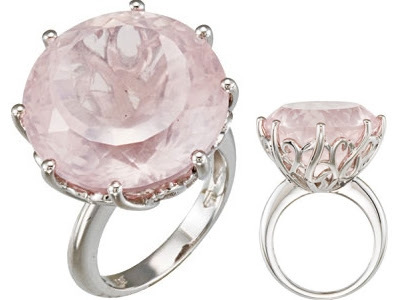 They continue to design beautiful jewelry in the spirit of love, kindness, and consciousness. They live in possibility and they believe that every day is a chance to GIVEbetter. They are handmade in California and Earth friendly. Their hope is that Dogeared jewels help people connect with one another in a meaningful way, and create an ever-expanding circle of positive energy and joy. Their bridal jewelry are considered as wedding favorites, because they beautifully design in the spirit of love and new beginnings. I received the Bridal Together Forever Silver Dipped Engraved Bangle ($58 or $66 for the Gold Dipped version), which is a simplistic yet beautiful piece that perfectly symbolizes a marriage or friendship. The words Together Forever are hand engraved on this 8" silver dipped brass bangle. 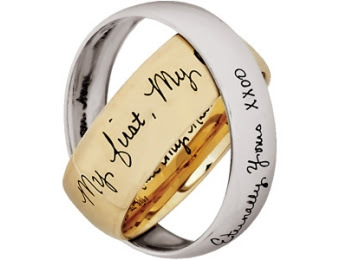 This meaningful gift comes in a gift box and a bridal together forever message card is also included. 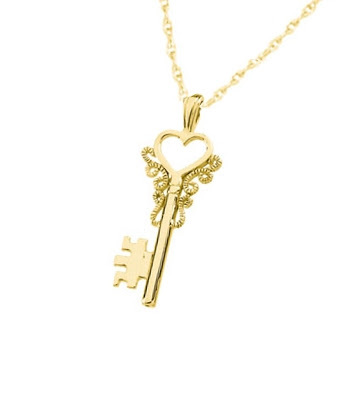 Dogeared has a vast collection of jewelry and gifts. Therefore, I just can't pick out one other favorite from their collections. I also adore the Jewel Box Calcite Drop Necklace on Tobacco Suede ($72), Large Karma Bracelet Gold Dipped on Camel Leather ($58), Gold Dipped Pink Pearl Drop Earrings ($50), and Cherry Quartz Marquise Healing Gem Gold Dipped Necklace ($38). The giveaway will conclude July 10th. The brainchild of singer Lily Allen and her sister Sarah Owen, Lucy in Disguise is a culmination of the duo’s shared love of vintage fashion. Launched first as a vintage shop in London, Allen and Owen have created their own inspired collection, filled with modern riffs on retro styles. T.I.L. 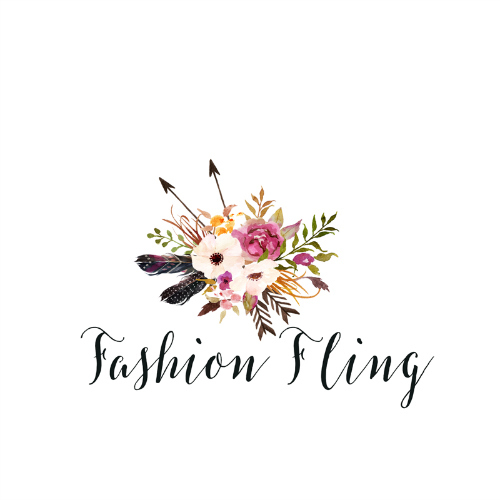 Darling Clothing Boutique is the online destination for unique and affordable boutique clothing for women. Shop boutique clothing from Alternative Apparel, Esley Collection, Jack BB Dakota, Moon Collection, Ya Los Angeles, and more. Blue Platypus, was conceived in November, 2003. They are mid-century modernists at heart, although they find inspiration in various places. Their biggest inspiration is probably vintage furniture and clothing (mostly 1920s to 1970s). Furniture by Ray and Charles Eames, Eero Saarinen, and Heywood Wakefield heads up their list. Other inspirations include paintings by Shag and architecture by Frank Gehry. Prints, patterns, and colors from different eras play a huge role in our designs. Clean geometric as well as fluid organic shapes, e.g. silhouettes of heads, are featured in their designs. They believe that the juxtaposition of diverse elements in surprising ways is essential to the evolution of design. They create surface interest and create a cornucopia of flavors. They also like to have prints that are interesting from afar, and surprising when scrutinized closely. Their biggest inspirations in current fashion are the prints and clever trims used by designers like Miu Miu and Marc Jacobs as well as the prints on bags by Angela Adams and Transversion Airlines. Companies such as Stussy and Penguin are more favorites. 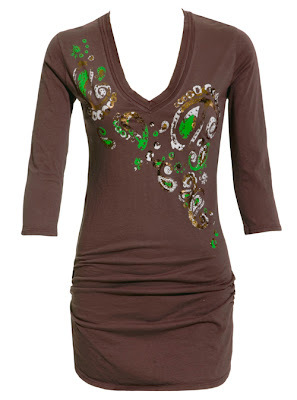 The All About Paisley in Brown ($35) has quickly became one of my favorite tops. They take a little bit of a spin on a traditional pattern by adding shine to it with the asymmetrical discharge and foil print. I adore the earthy colors and the quarter inch length in the sleeves. I love that it has a snug fit without sacrificing comfortableness. This top is flattering for all shapes, whether you have a boyish or buxom shape. It's also great to wear during pregnancy since it will stretch to accommodate a growing baby. The designer wore this beautiful shirt through almost an entire pregnancy! 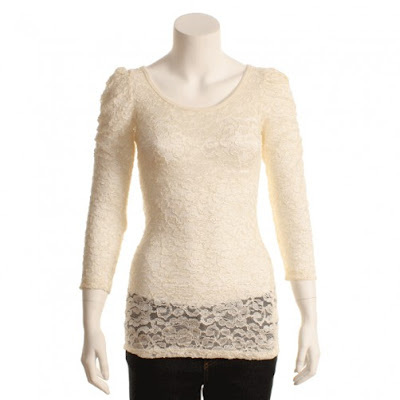 The side ruching and perfect v-neck and sleeve length makes this shirt a fashionable favorite with all. It's also available in Magenta. Other items that are hot on my fashion radar are: Sofia Convertible Tunic Dress ($48), Little Dutch Girl in Grey ($36), Alice in LaLaLand in Red ($34), Vivian Convertible Tunic Dress ($48), Bastille Day ($34), and China Doll in Black ($30). 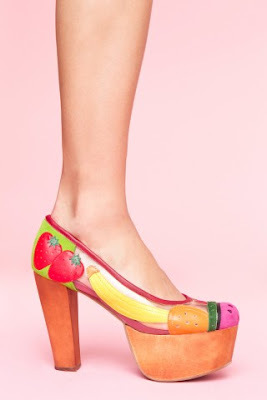 The Jeffrey Campbell Fruitbowl ($158) are funky fresh wooden platform pumps featuring a clear upper with leather fruit detailing. Partially lined leather interior, cushioned insole. Perfect paired with a crop tank and high-waist shorts! Prize: One winner will receive a $150 gift certificate from La Grande Dame. REQUIREMENT: You sign up for their newsletter in order to qualify for the giveaway. Newsletter subscribers will also have a chance to win a $500 shopping spree! Founded by Catherine Wood Hill and Michelle Wood, La Grande Dame is committed to excellent selection and exceptional customer service. 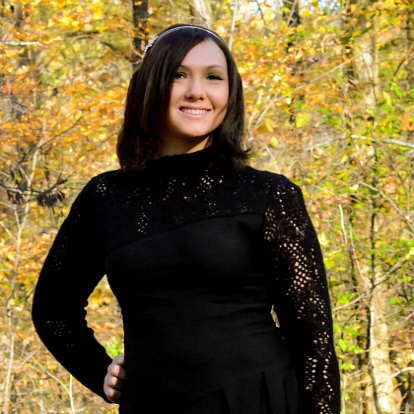 They ship beautiful plus size designer fashions worldwide from their website. They have a vast collection from top notch brands such as Betsey Johnson Intimates, ADA Handbags, Marina Rinaldi, Anna Scholz, Lafayette 148 New York, Gayla Bentley, JJ Winters, Kiyonna, Miraclebody, Tadashi, Not Your Daughter's Jeans, Trentacosta, XCVI, Melissa Masse, Olivia Harper, Zen Knits, Steve Fabrikant, BedHead PJ's, and many more! - Like them on Facebook. Prize: 5 winners will receive a bangle of their choice from Mango Tree Fitted Bangles. 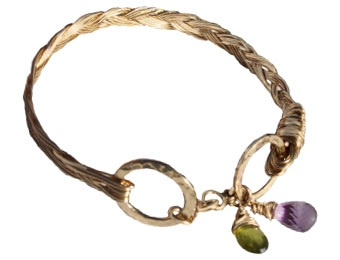 Mango Tree Fitted Bangles came to be when designers David Aviv and Helen Dukat met in India in the summer of 2004. Their passion and inspiration is unquestionably derived from all of the world’s wonderful creations. Their vision, and the mission of Mango Tree Fitted Bangles, is to design and manufacture beautiful high quality products using natural materials, and selling them at great prices so that everyone can enjoy them. Mango Tree Fitted Bangles are unique and bold bangles that are eco-friendly and 100% natural. The bangles are created from Mango Trees that are cut down, only after they no longer yield any fruit. Available in 4 sizes, 50 colors and 3 different styles – Slim, Samba and Bold, Mango Tree Fitted Bangles are the perfect fit for women of all ages. The giveaway will conclude July 8th. Prize: One winner will receive a Women's Cream Shadow Lands Blessings Maxi Dress by Traffic People (a $155.98 value) from LoveClothing.com. 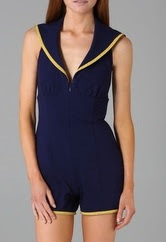 LoveClothing.com offers the latest trends in fashion for men and women. 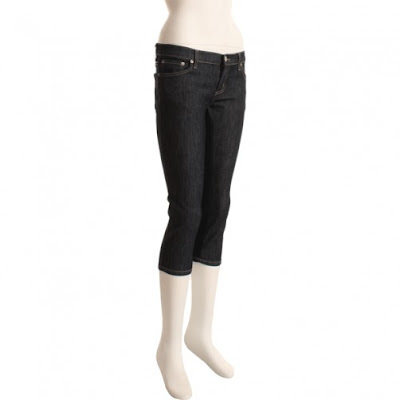 They have a vast selection of clothing, shoes, and accessories that will help you stand out amongst the crowd. 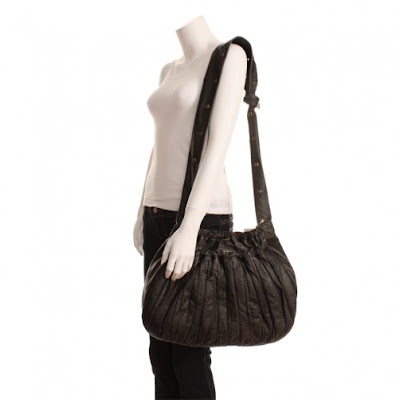 They offer Worldwide Shipping, Free UK Delivery, and Free Returns & Exchanges. All orders are dispatched within 24 hours. With over 15,000 fans on Facebook and 7,000 on Twitter, you can be assured that you will be getting the best when it comes to uniqueness, style, and customer service.